Is your boiler acting up? Are you tired of living in a cold home with no hot water? If so, call Combi-Nation today for the most comprehensive boiler maintenance Southampton has seen. With years of experience and a wealth of expertise, Combi-Nation are the leading choice for providing Southampton boiler maintenance that is both reliable and affordable. When it comes to the working condition of your boiler, it’s imperative that you take steps to ensure that it is regularly serviced. At Combi-Nation, our boiler maintenance Southampton team provide a competitive service that will have your boiler working at peak efficiency. With time, parts will begin to breakdown and deposits will start to accumulate reducing the efficiency of your system. This will result in higher annual bills as your system has to work harder to output the same amount of hot water. Not only is a faulty boiler false economy to run but it can also be hazardous to your health. Only by choosing our boiler maintenance in Southampton can you be certain that your boiler will be fit-for-purpose. How can Combi-Nation help with your Southampton boiler maintenance? Regardless of the age of your boiler, call Combi-Nation to schedule your routine servicing. As the finest choice for boiler maintenance Southampton has to offer, we leave no stone unturned during our inspection. 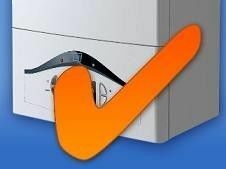 Our aim is to make certain that your boiler is operating safely and not costing you a fortune to run. Upon completion of your Southampton boiler maintenance we will provide you with a complete report of our findings and any work that has been carried out. Should it no longer be economical to service your boiler, our boiler maintenance Southampton experts will advise you on a suitable replacement. We will even supply and install this boiler at a cost that is highly affordable. With our boiler maintenance in Southampton, you can be certain that your boiler will serve you reliably for many years to come, and that you will avoid any costly breakdowns. Why choose our boiler maintenance Southampton professionals? If you’re in need of Southampton boiler maintenance that will ensure the safe operation of your boiler, look no further than Combi-Nation. For many years now, our team have delivered cutting-edge services to customers the length and breadth of Southampton. At Combi-Nation, we recognise that an issue can occur at any time. We provide a call out service 365 days of the year, so we’re always on hand to provide boiler maintenance in Southampton – even on Christmas Day! Plus, with our priority call out services, you can expect a quick response to your Southampton boiler maintenance emergency. At Combi-Nation, we regularly benchmark our services against those offered by rival boiler maintenance Southampton companies. With prices starting from as little as £65 + VAT, we’re confident that you won’t find a lower price anywhere else. In addition to our domestic services, we also provide commercial servicing, Landlords Gas Safety inspections, and gas fire servicing. When multiple services are selected, you will enjoy a fantastic discount on top of our usual rates. Choose the most reputable company for boiler maintenance Southampton has experienced now. Get in contact with Combi-Nation today on 023 8077 5666 for more information.